Red Ball 4 Walkthrough, Cheats, Solution for Android, iPhone, iPad, iPod. 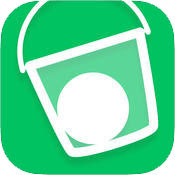 Note: This is "Red Ball 4" by "FDG Entertainment GmbH & Co.KG"
Level 75: Just drop the ball fast, the smaller balls will push it inside the bucket. Drop Flip Level 75 Walkthrough, Cheats, Solution for Android, iPhone, iPad, iPod. Level 74: Wait about 2 seconds after the level restarts and drop the ball. It should bounce from the right heart into the bucket. Drop Flip Level 74 Walkthrough, Cheats, Solution for Android, iPhone, iPad, iPod. Level 73: You'll need to drop the ball when the windmill blade is at a horizontal position. Drop Flip Level 73 Walkthrough, Cheats, Solution for Android, iPhone, iPad, iPod. Level 72: You need to drop the ball so that it will slightly touch the left wheel. Drop Flip Level 72 Walkthrough, Cheats, Solution for Android, iPhone, iPad, iPod. Level 71: You just need to make the ball pass the first spinning circle, afterwards will work out nicely on it's own. Drop Flip Level 71 Walkthrough, Cheats, Solution for Android, iPhone, iPad, iPod. Drop Flip Level 70 Walkthrough, Cheats, Solution for Android, iPhone, iPad, iPod. Level 69: Move the circle to the right and time the drop so it will bounce from the left moving piece. Drop Flip Level 69 Walkthrough, Cheats, Solution for Android, iPhone, iPad, iPod. Level 68: Drop the ball when the spinning rectangle points upwards. Drop Flip Level 68 Walkthrough, Cheats, Solution for Android, iPhone, iPad, iPod. Drop Flip Level 67 Walkthrough, Cheats, Solution for Android, iPhone, iPad, iPod. Drop Flip Level 66 Walkthrough, Cheats, Solution for Android, iPhone, iPad, iPod. Drop Flip Level 65 Walkthrough, Cheats, Solution for Android, iPhone, iPad, iPod. Drop Flip Level 64 Walkthrough, Cheats, Solution for Android, iPhone, iPad, iPod. Level 63: Move the square beneath the ball just a tiny bit to the right. Drop Flip Level 63 Walkthrough, Cheats, Solution for Android, iPhone, iPad, iPod. Drop Flip Level 62 Walkthrough, Cheats, Solution for Android, iPhone, iPad, iPod. Drop Flip Level 61 Walkthrough, Cheats, Solution for Android, iPhone, iPad, iPod. Level 60: Annoying level... you need to hit both spinning stars to make the ball go inside the bucket. Drop Flip Level 60 Walkthrough, Cheats, Solution for Android, iPhone, iPad, iPod. Drop Flip Level 59 Walkthrough, Cheats, Solution for Android, iPhone, iPad, iPod. Level 58: Best way is to wait a little for the moving parts to slow down, then drop the ball. With a little luck you can get it inside the bucket by bouncing it only on the first pendulum. Drop Flip Level 58 Walkthrough, Cheats, Solution for Android, iPhone, iPad, iPod. Drop Flip Level 57 Walkthrough, Cheats, Solution for Android, iPhone, iPad, iPod. Level 56: Move first 3 circles up, and the last one down. Drop Flip Level 56 Walkthrough, Cheats, Solution for Android, iPhone, iPad, iPod. Level 55: Just drop the ball in this one, without touching any of the pieces. Drop Flip Level 55 Walkthrough, Cheats, Solution for Android, iPhone, iPad, iPod. Level 54: Flip the triangle and move the other piece all the way right and up a bit from the center. Drop Flip Level 54 Walkthrough, Cheats, Solution for Android, iPhone, iPad, iPod. Level 53: Put the rhombus in the middle and slightly to the left, the ball should bounce in the bucket easily. Drop Flip Level 53 Walkthrough, Cheats, Solution for Android, iPhone, iPad, iPod. Level 52: Again a level where you need to time the drop just right to avoid the two moving squares. Drop Flip Level 52 Walkthrough, Cheats, Solution for Android, iPhone, iPad, iPod. Level 51: You need to drop the ball at the right time... pretty easy level. Drop Flip Level 51 Walkthrough, Cheats, Solution for Android, iPhone, iPad, iPod.